Growing healthy communities together means everyone gets involved. The Florence Fang Asian Community Garden is a partnership with smart businesses, community organizations, neighborhood residents and public officials. This page is a log of how we work together and what we do to grow our garden. We are particularly proud to partner with our financial sponsors who helped underwrite our beginning and help keep us going! We welcome your support too! You can donate by clicking here. Attending the first Open Garden Day in April 2015 (l. to r.) Ted Fang, AsianWeek Foundation; Fiona Ma, California Board of Equalization; Mrs. Florence Fang; Minna Tao, General Manager Recology Golden Gate; Roger Kim, Mayor’s Office Senior Advisor on the Environment. Garden Volunteers built all of the Florence Fang Asian Community Garden’s planter boxes. Our first delivery of lumber was donated by Discount Builders Supply in San Francisco! Discount Builders is the choice for homeowners, contractors and community gardeners in San Francisco. Two bioswales run across the width of our garden. They serve to catch extra rainwater to reduce runoff into the city’s drain and sewer system, especially in times of rain. They also help irrigate the site. The bioswale project was supported by the SF Dept. of Environment’s carbon reduction program, and filled with a thin layer of gravel donated by Western Roofing and planted with Yarrow that was imported from the former Growing Home Community Garden. SF DOE also supported our volunteers work on creating planter boxes and the Green Pavilion. Our mutli-use garden shed has open up side-doors to offer refreshments to garden volunteers, store our tools and helps form a shade structure and rest area. The shed is a re-purposed shipping container that was re-done by our friends at Recology. It was donated by San Francisco Public Works Director Mohmmed Nuru and originally located at the Growing Home Community Garden. Public Works staff Jimmer Cassiol and Assistant Superintendent Liz Lerma coordinated the special delivery! Art of the Garden M-Brace highrisers are 20” tall and allowed us to build extra tall 24” planter boxes. The corner braces also come in many different looks from their butterfly and river designs, to carrot and river water looks as well. Art of the Garden corner M-Braces come in different sizes and were able to give us maximum flexibility to build planter boxes of different sizes and different shapes. Be sure to come and visit our garden to see some of our Asian style layouts for the planter boxes too with our Harmony Cloud layout and Goat layout too! Art of the Garden was started around one central idea: Create a way to make raised garden beds that EVERYONE can assemble and enjoy. That mission starts at the very top. Art of the Garden owner Jill Plumb came out herself to help us get started building our planter boxes, and here she is pictured with some of her creations! Community Garden founder Ted Fang poses with Malibu Compost founder Colum Riley who drove a whole trailer load of compost up from the Malibu Compost farms in Oakdale California with a generous assist from buddy Craig Wilkinson. You need to get to know all the friendly and committed folks at Malibu, including co-founder Randy Ritchie, You Lee Riley and of course Bu the Cow!! 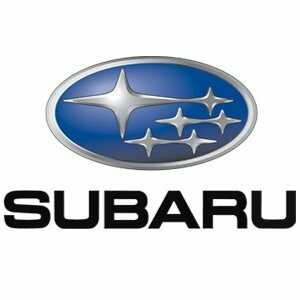 And thanks to the hard-working Abana Jacobs from Subaru USA for bringing all us together! The top layer of the planter box is a thick sheet of Malibu Compost to help sprouts get off to a strong start ready to burst into green shoots and big leaves. Malibu Compost’s special formula boosts the microbial biodiversity and nutritive capacity for the healthiest vegetables. The bottom of the planter boxes are first filled with topsoil containing good concentrations of organic material where the vegetable roots can grow deep and healthy. All our gardeners gathered around as our resident-gardener Faheem Carter (center) showed us how to plant our starters using Kitazawa Seeds. New Lemon Trees! Just One Tree joined our community garden by bringing in 14 new lemon trees! JOT’s mission is to plant and/or register 12,000 lemon trees, the number of trees required to make the city totally self-sufficient in lemons. The ACG project, funded by the non-profit group California ReLeaf, adds 14 trees to the total registered to date--1556. May 5, 2015 -- First lemon in the Florence Fang Asian Community Garden! It’s a Myer Lemon, but come see one of the other 4 varieties we are growing! Thanks to Isabel Wade, Chief Lemon Ambassador at Just One Tree for planting all 14 lemon trees in our garden! Funded by the non-profit group California ReLeaf. In September 2014, Youth Art Exchange partnered with the garden on a project to build a pavilion in our community garden. The structure was commis-sioned by AsianWeek Foundation to attract members of the surrounding neighborhood, and bring people together. The pavilion is designed to serve as a rest spot and attraction for visitors of the garden. Members of the Visitacion Valley Asian Alliance and community leader Marlene Tran volunteer at the groundbreaking of the Florence Fang Asian Community Garden on April 17, 2014. Other founding Community Advisory Partners include: Asian Pacific American Community Center, Community Youth Center, Samoan Community Development Center, and SF Community Empowerment Center. Volunteers from Habitat for Humanity help load up rich Malibu Compost for growing veggies! The compost is distributed as a top layer on the boxes to give our seedlings a super nutritional boost. There are 53 planter boxes in the garden now. Come see our special Harmony Cloud and Goat Layout designs! Supervisor Malia Cohen addresses the community at the ground breaking of the Florence Fang Asian Community Garden on April 17, 2014. 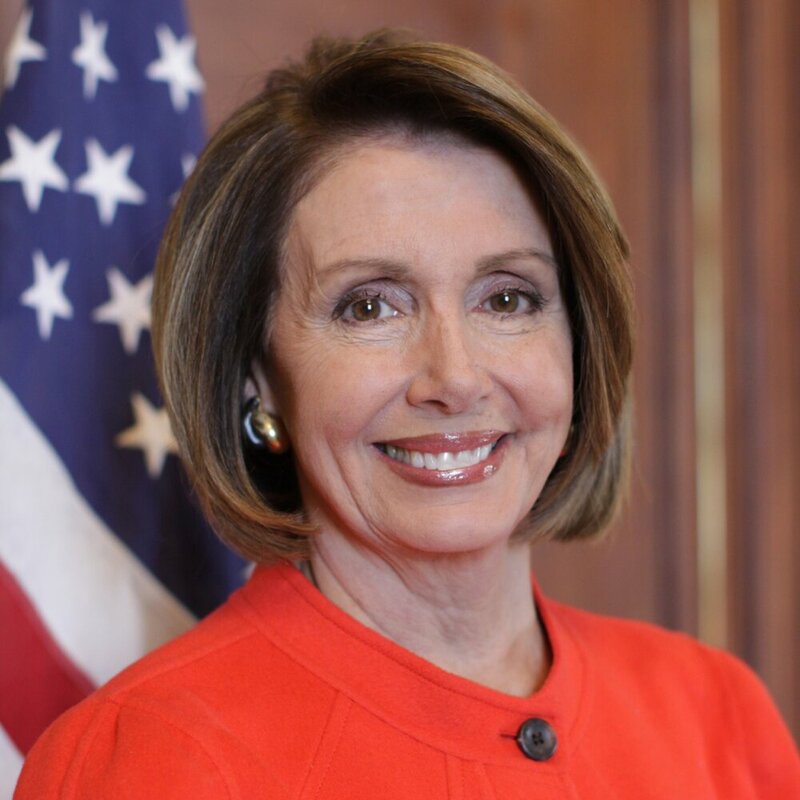 Supervisor Cohen, represents District 10 of San Francisco (including Bayview). Cohen also sits on the CalTrain Board of Directors. "This project is the first Asian-themed public and open space on the Southeast side of the City. It reflects the growing diversity we have in the Southeast and provides a place for local residents to invest in healthy lifestyles and sustainable practices, including growing fresh produce,”said Supervisor Malia Cohen. Community Garden volunteers present a basket of freshly-cut produce from the garden’s first harvest to Supervisor Malia Cohen. Sup. Cohen led the effort to establish the community garden – helping to identify the site, bringing together city officials, community groups and local businesses, and being a regular visitor to check on our progress and check in with residents and neighbors. Community Youth Center organized the first ever Bayview Solidarity Tour, launching it at our garden in the summer of 2015. The tour included sites of community reclaiming public land through partnerships with government agencies. Pictured (left to right): Eddy Zheng, CYC Bayview Director; Teddy Fang, AsianWeek Foundation; Brandi Mack, Girls 2000 Director; Tracy Zhu, SF Foundation Environment Fellow. 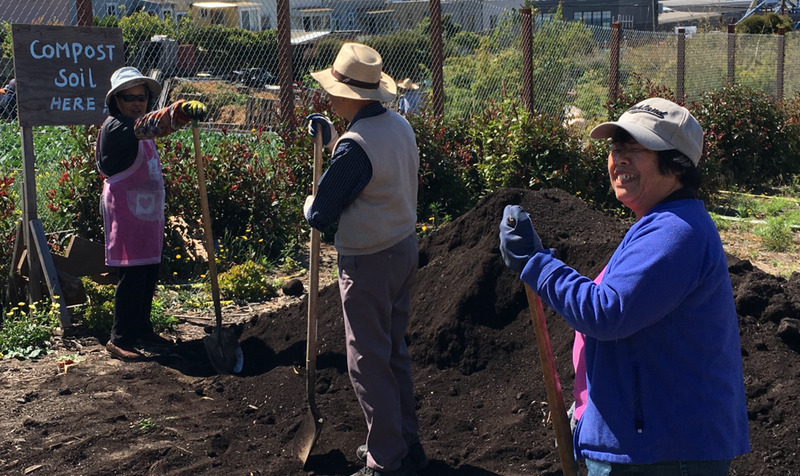 Volunteers spread out 15 truckloads of mulch donated by Bayview Greenwaste to cover the entire one acre site of the Florence Fang Asian Community Garden. The mulch prevents weeds from re-growing and is completely recycled materials. Volunteers came out every weekend for over three months spreading the mulch and we were only able to finish with an assist from Recology’s mini-tractor! Special thanks to Toyota Motors for sponsoring theNational Environmental Education and Training Foundation! Communal planting lanes produce surplus crops as we develop our own produce stand and join farmers markets in the neighborhood and city. Sitting on the site of SF’s last operating farm, we are proud to be renewing the tradition of growing fresh produce and sharing gardening traditions! Thanks to one of our oroignal suppliers, Big Creek Lumber, we are able to get a special deal on lots of redwood planks for our building! We us this lumber for so many of our different needs at the garden, from more planter boxes to grow vegetables, to building a community stage for neighborhood performances. July 2017 - We have 66 individual planter boxes divided into two sections, and we have 18 communal planting lanes where all the volunteer gardeners chip in together to grow surplus crops which are sold as a source of fresh vegetables to local residents and supplemental revenue for garden operations. More than twenty non-profit/community groups have partnered to help develop the Florence Fang Asian Community Garden, and as one of the few green spaces available to the public, we continue to work with local and neighborhood groups. Pictured above is the Thanksgiving ceremony from Fall of 2016. The San Francisco Community Challenge Grant program supported our growth and partnership with Community Youth Center to expand our planting facilities, to recruit more members to our garden and to network with other community gardens. 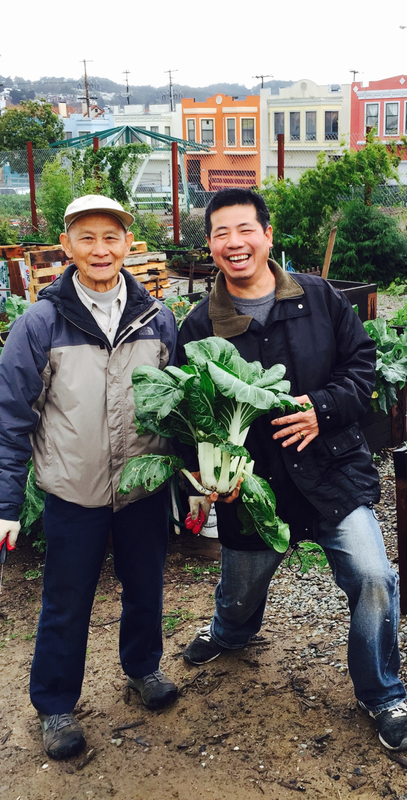 Thanks to partners and funders like the Center for Environmental Health, the Florence Fang Asian Community Garden empowers local residents to utilize the local land, to engage in environmental justice efforts, to live healthier, more active lives. In partnership with the Food Bank, we provide food to 150 families in need every Saturday, and hold community events like the Mother's Day gathering from May 2017 pictured below. 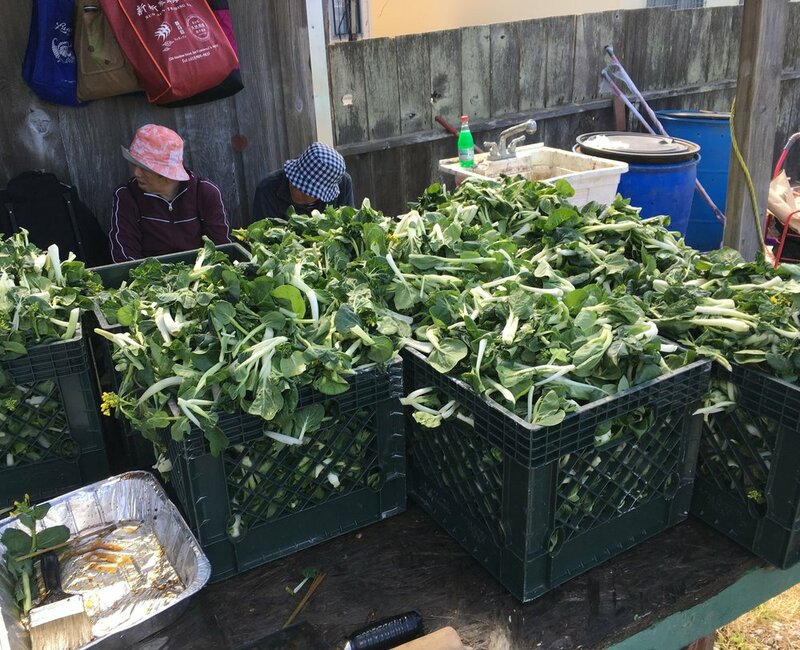 Florence Fang Asian Community Garden is continuing to increase capacity for self-sustainability and helping our community continue to grow and lead healthier lives. 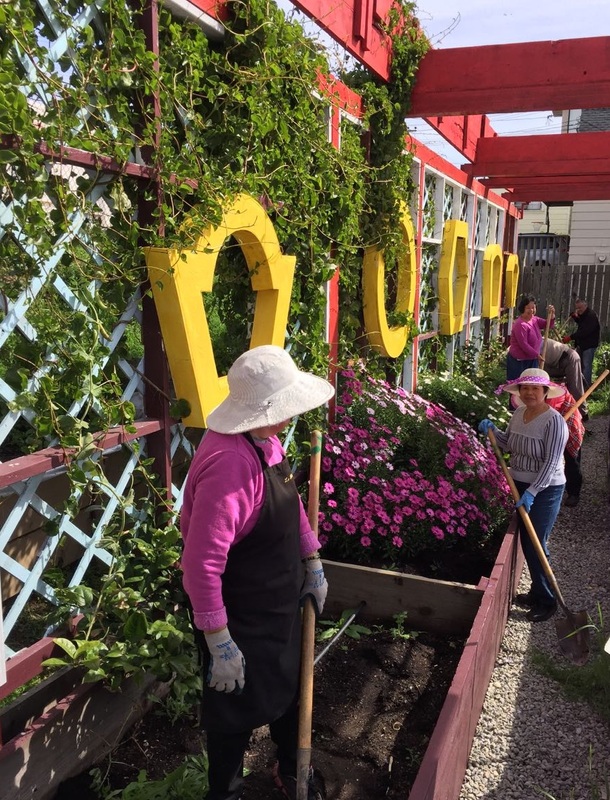 Florence Fang Asian Community Garden is excited to announce that we are one of the 129 grantees who will receive funds through AARP Livable Communities’ AARP Community Challenge ‘quick action’ grant program! 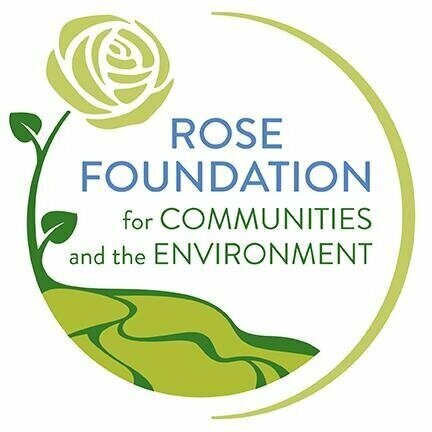 Awardees across the country will receive grants to fund innovative projects that can inspire change and make counties, cities, towns and rural areas better places to live for residents of all ages. Our project will increase our crop production and expanding our farmable land To find out more about the Community Challenge and see the full list of winners please visit aarp.org/CommunityChallenge. And to learn more about how AARP is working to make communities across California and across the U.S. more livable for all, visit aarp.org/livable. ADVISORY PARTNERS: Asian Pacific American Community Center, Community Youth Center, SF Community Empowerment Center, Vistacion Valley Asian Alliance. COMMUNITY PARTNER: Quesada Gardens Initiative. FOUNDED BY: AsianWeek Foundation.